Business woman clipart collection available as PNG and vector extensions. 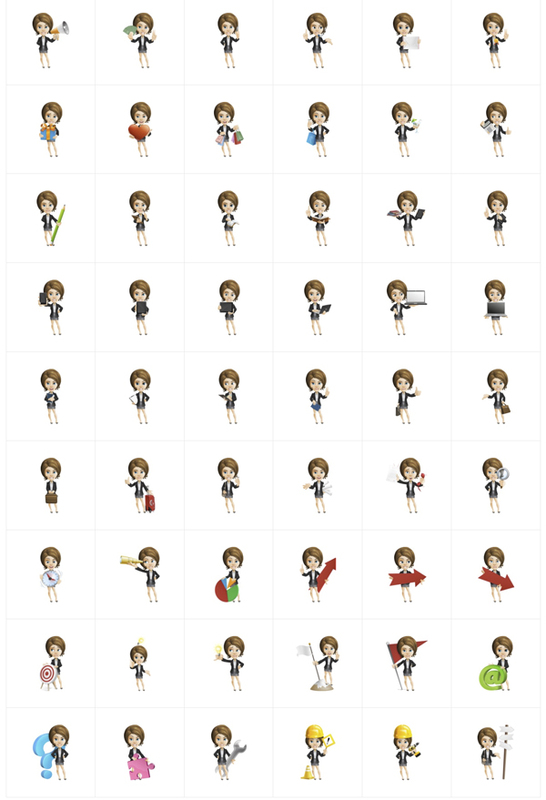 This charming business woman is made in 112 business clipart poses. What do you need to grab the attention of your audience? Of course, you need a friendly cute business woman clipart which will definitely catch the eye of the visitors. Because this set is made of vector shapes, it can be easily modified – you can change the colors of the businesswoman, with just a few clicks. Anyway, you can just use the transparent png files of every pose.